As of today, Microsoft’s cloud service SkyDrive will be known as ‘OneDrive,’ a move that no doubt strengthens connections with the all-new Xbox One console. The decision is not entirely voluntary, with the name change very much the result of a trademark case involving the Sky Broadcasting Group (BSkyB), but it does, in a sense, afford Redmond company’s product range an improved degree of uniformity. In the constant strive for evolution and progression in the digital industry, it’s natural that some companies feel the need to rebrand certain products and services as they see fit. Google, only a couple of years back, took the decision to rename the Android Market to the Google Play Store in reflection of the wider range of content available, and while Microsoft may well have been happy with the name ‘SkyDrive’ and the cloud connotations therein, ‘OneDrive’ seems an equally strong brand thanks in part to the software maker’s latest console. Although the name changing process has yet to fully commence, this will take place in the coming weeks, and for further clarification, the Windows maker has thrown a promo clip up on YouTube that you’ll find embedded at the bottom of this article. Naturally, Microsoft has been swift to dispel any notion that the changeover will be anything other than smooth and seamless. For SkyDrive users, all content will be available on OneDrive and OneDrive for Business as with the current, corresponding SkyDrive services, so anybody worried about their data – provided Microsoft keeps to its word – shouldn’t have too much to be concerned about. So, while Microsoft’s hand was somewhat forced, OneDrive will be the new SkyDrive as we move on into the future. With so many cloud services out there including Box, Mega, Dropbox, Apple’s iCloud and Google Drive, this is a fiercely competitive arena, and as such, Microsoft will be hoping that this changeover is smooth enough so as not to affect its cloud prospects. 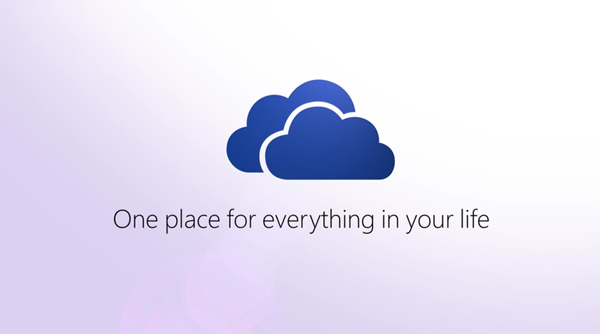 What do you think – is OneDrive a worthy alternative to the SkyDrive name? And more importantly, does it represent a step backwards, forwards, or is it a like-for-like swap?